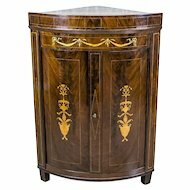 Herewith we have the pleasure to present to you larger Italian Commode from ca. 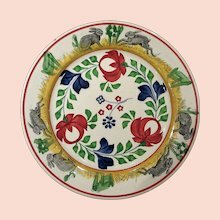 1950 with floral intarsia in renaissance style. 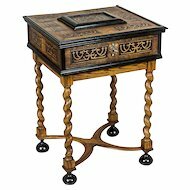 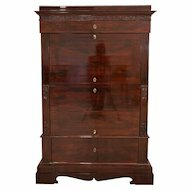 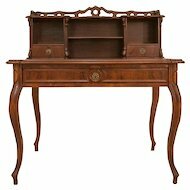 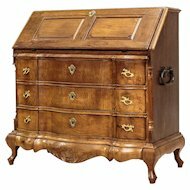 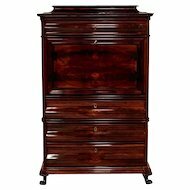 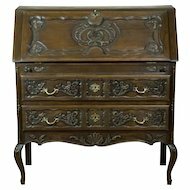 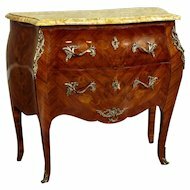 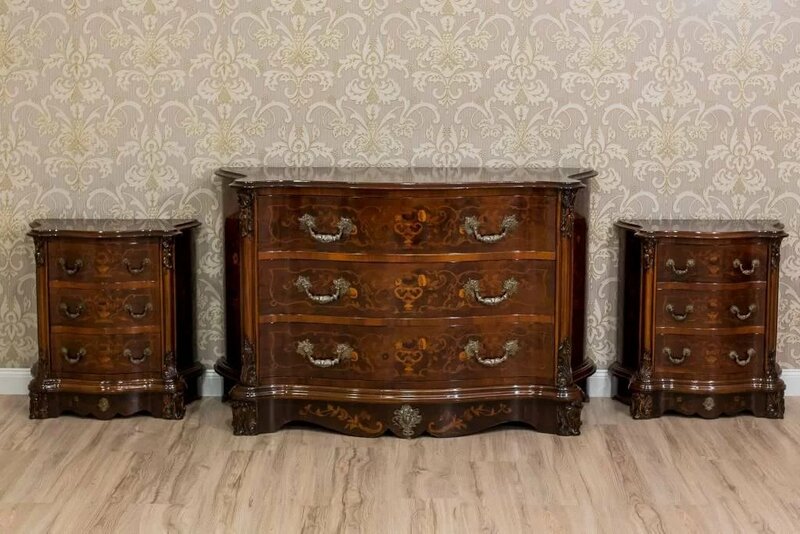 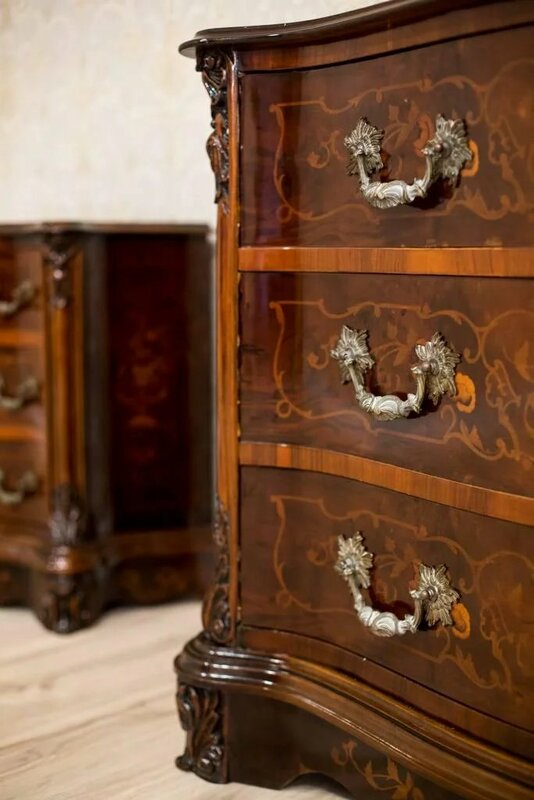 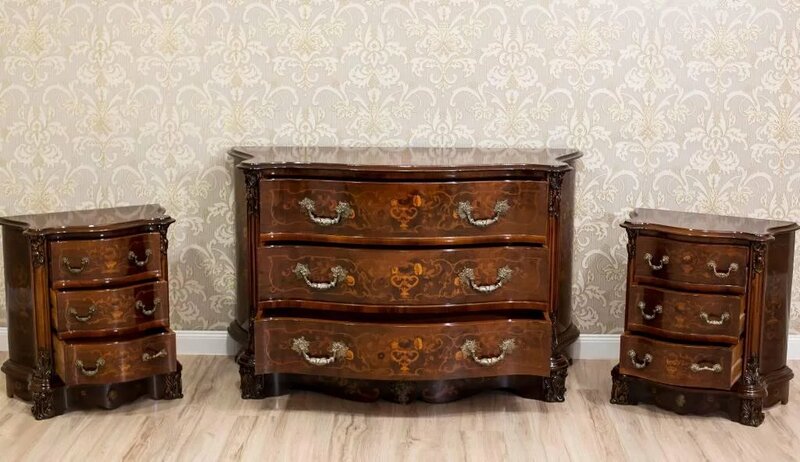 Commode consists od 3 drawers with carved handle, the sides of the chest of drawers with floral marquetry. 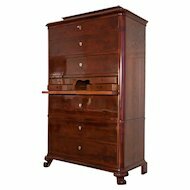 There are two smaller commodes available (see ID no. 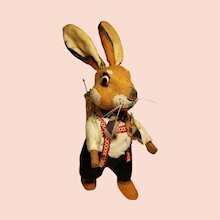 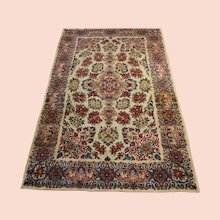 : AB001348 in our shop). 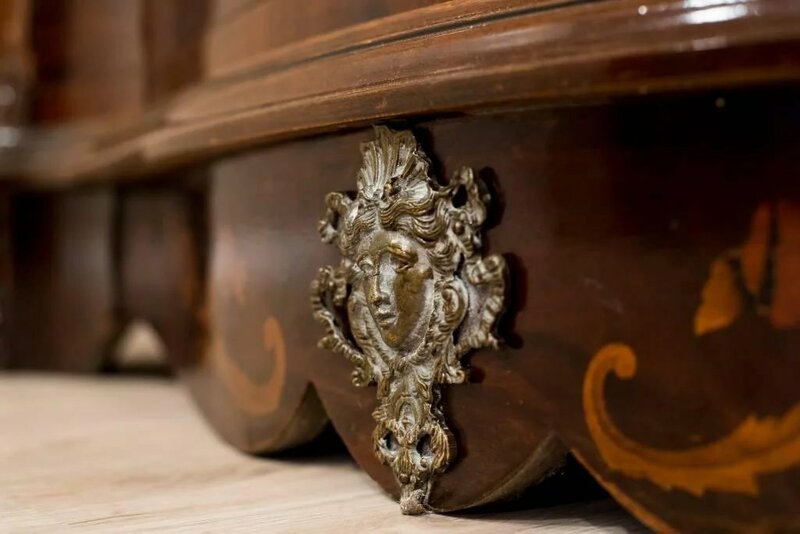 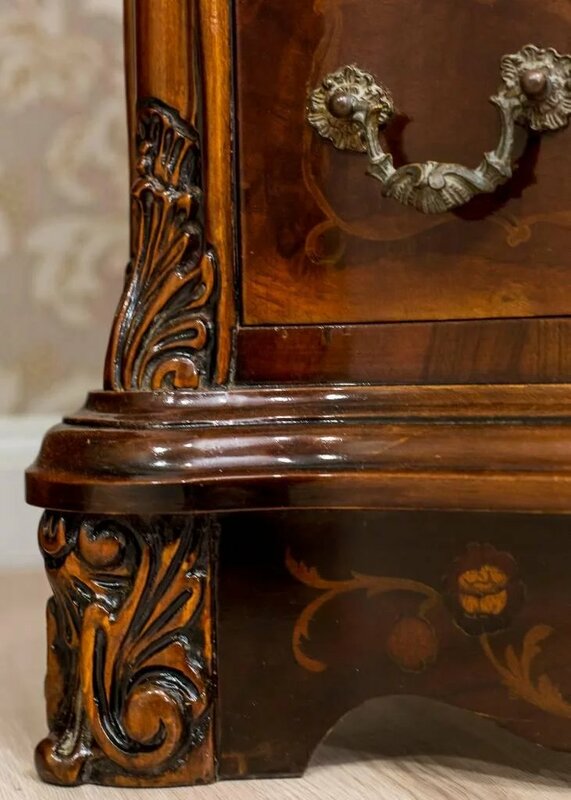 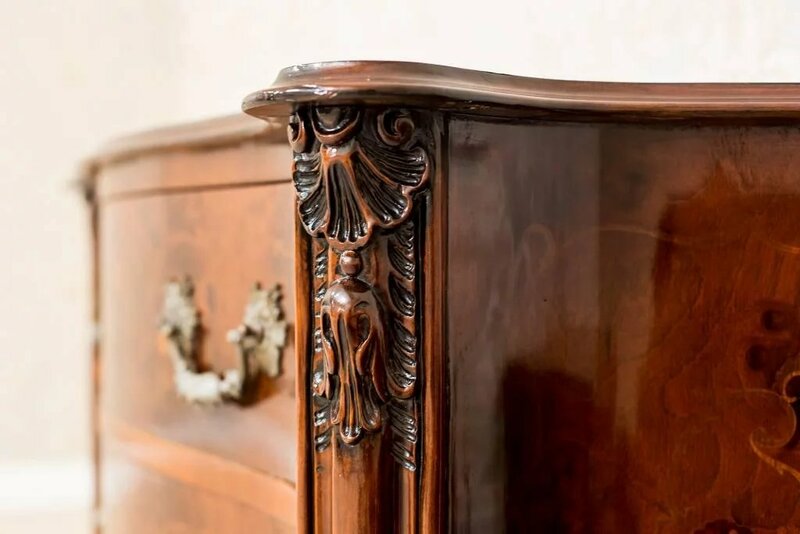 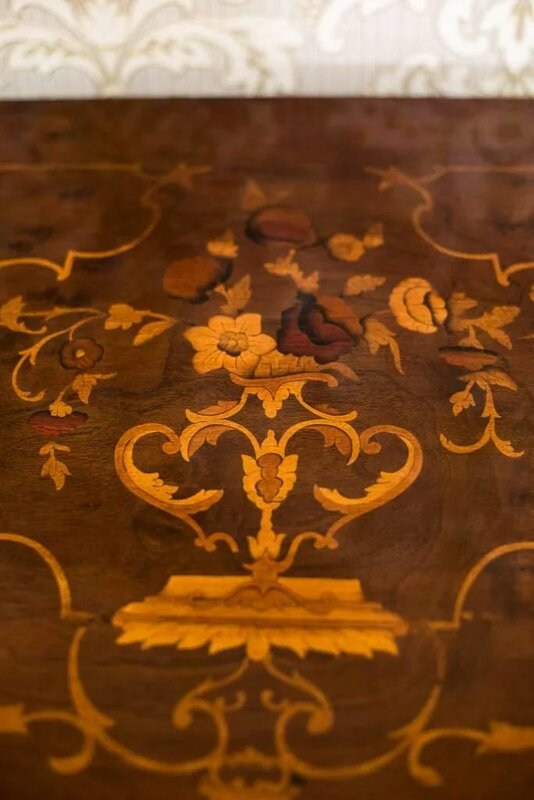 The furniture has been professionally restored by our conservation specialists, what guarantees the preservation of all details and ensures the execution of works in accordance with artistic and aesthetic standards. 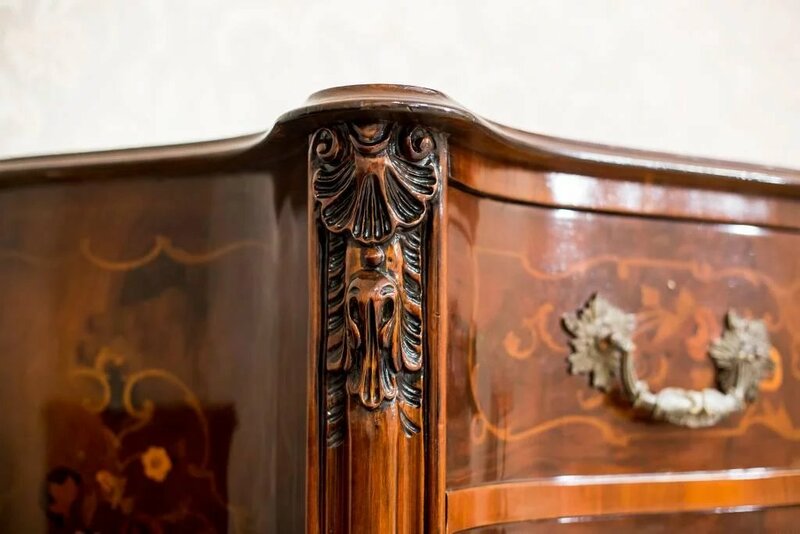 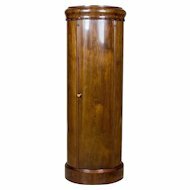 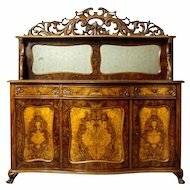 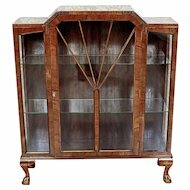 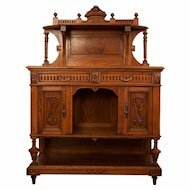 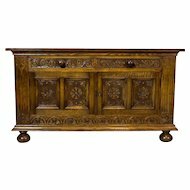 The authenticity of presented item (period of manufacture, type of wood used) has been certified by an experienced specialist of vintage and antique furniture. 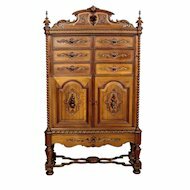 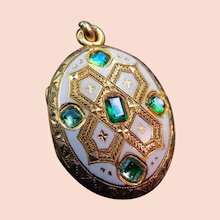 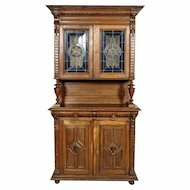 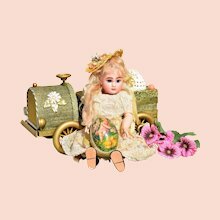 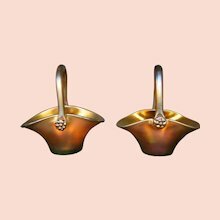 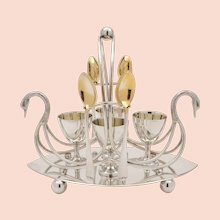 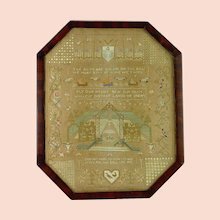 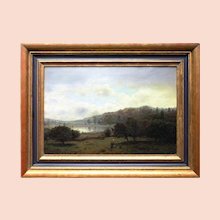 The company Antique Beauty displays an ISSUER’S CERTIFICATE on item in its inventory which authenticates its legal origin, approximate date and place of manufacture.